Tension Black Diamond Titanium Engagement Ring : LOVE2HAVE in the UK! A chunky domed profile titanium engagement ring with a tension set black round diamond. The diamond in this engagement ring is a 0.25-carat black diamond (4mm diameter). 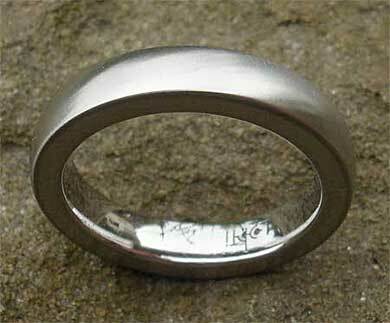 The ring pictured here is in a satin finish, and a polished finish is available too. Please note that this engagement ring has a very thick wall of around 3mm in depth and the matching ring pictured also has this depth. 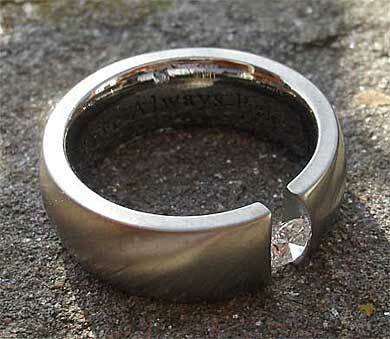 A matching plain titanium wedding ring is available as pictured. Please email for further details. 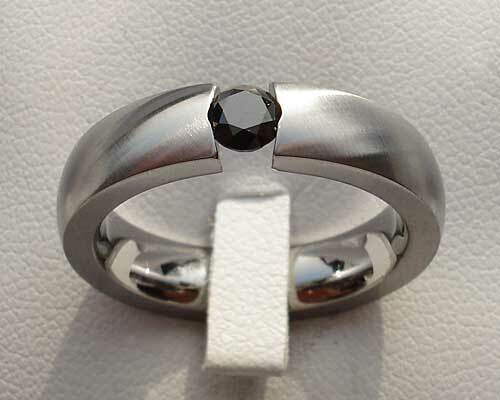 Precious stone(s) Available: 1 x 0.25ct black diamond.